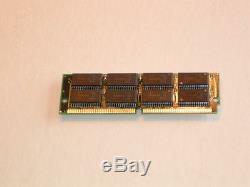 This listing includes the K2600 internal emulator and a 128MB simm (Sample Ram). This is a SCSI Hard Drive Emulator Board for installation in a Kurzweil K2600, K2600S, K2600X, or K2600XS keyboard. Think of it as a Solid State Hard Drive. It uses a 8GB microSD Card for memory. 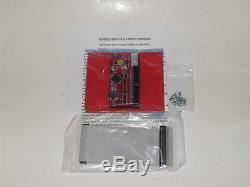 This package includes the SCSI Emulator Board, 8GB microSD Card, and complete installation kit. 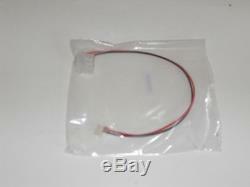 The installation kit has a ribbon cable, bracket, power cable, and easy to install instructions. I have loaded thousands of high-quality Kurzweil samples and programs on the 8GB microSD Card. K26 sample files and program files, no wave files. Electric guitars, acoustic guitars, clean guitars, distorted guitars, basses, analog synths, digital synths, all the classic synths, Hammond B3s, Vox, Farfisa, Rhodes, Wurlitzers, clavinets, vocoders, grand pianos, voices, brass, orchestral instruments, percussion, congas, drum kits, loops, and more. This is a killer collection of samples and programs. I have formatted the hard drive into four 2GB partitions and filled 3 of the partitions with samples and programs. The K2600 is able to format/read/write to 8GB of a SCSI Hard Drive (four 2GB partitions). The SCSI Emulator Board has no moving parts like a SCSI Hard Drive, so it's completely silent and should last forever. I have this exact model of SCSI Emulator Board in my K2600S and it works perfect. The SCSI Emulator Board has active termination and the SCSI ID# is set to ID# 1. I will change the SCSI ID# if you want a different ID#, let me know before the package ships. Installation is simple and only takes 20-30 minutes. I also sell SCSI Emulators for the K2000R, K2000 keyboard, K2500R, K2500 keyboard, and K2600R. The item "Kurzweil K2600 SCSI Hard Drive Emulator withSamples & Programs, & 128MB Sample Ram" is in sale since Tuesday, July 17, 2018. This item is in the category "Musical Instruments & Gear\Pianos, Keyboards & Organs\Electronic Keyboards". The seller is "synthplus" and is located in Merritt Island, Florida. This item can be shipped worldwide.